Whether you’re going to a new job and returning a machine, selling your old computer, or donating it, you need to be very cautious of what information is left on the device. After all, if it was a personal computer or work machine, it’s more than likely there is sensitive information on them. They may have held credit card numbers, social security numbers, passwords, birth dates, and even personal emails, everything needed for a nefarious individual to potentially damage and/or harm your life. The recycle bin is not good enough and is actually a bit elusive in leading you to believe files you deleted are actually gone, when they are still on your machine in a different location. While the lay man may not know what to do with it, a hacker or more experienced computer user would. Here are some ways to be a bit extreme in how you deal with removing this private information. There are premium software that offer extreme system wipes that are compliant with Department of Defense standards. There are also freeware programs that are available for download, such as Active@Killdisk, and DPWiper. These are not 100% fool-proof but unless you are dealing with a federal law-enforcement agency, you should be in the clear. 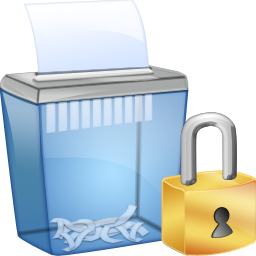 If you want to take it another step further, you could encrypt all your sensitive files and goodies. There are some freeware versions and possibilities as well, with Jetico. After you encrypt it, then you could wipe it with some of the software listed above. If there was a nefarious individual after your information, they’d have to ‘”undelete” and salvage your hard drive from what you’ve done, after that, they would have to go through your encryption. There is also another step available after that, if desired. You can format and re-install your operating system at the same time. When I upgraded to Windows 7 from Vista I had the option of formatting my existing hard drive while the system was being installed. This too, while not 100% fool-proof will protect you against the lay-man as well. If these measures are still not to your standards and keep you up at night, there are more primitive methods available as well. You could just keep it; or you could destroy it. The shielding on the outside of a hard drive will protect it against most house-hold magnets, so you’d need something like an electromagnet, a hammer or fire. A combination of all or some of these methods, however, should keep you in the clear. Do you use other methods or software to wipe private data from your computer. If so, feel free to share your way in the comments below.